"PIP PPO Panels" or "Auto Liability Networks"
FCA members on health plan panels are receiving notices from the panel administrators announcing automatic inclusion in “PIP PPO panels” or an “Auto Liability Network.” Participation in a “PIP PPO” type plan requires the doctor to accept the Plan’s fee schedule for services and possible utilization limits on PIP claims. On Monday, the First District Court of Appeal denied the Plaintiffs’ Motion for Rehearing in the PIP constitutional challenge lawsuit filed earlier this year. As previously reported, the PIP injunction previously entered by Judge Lewis in Leon County, Tallahassee, Florida, was reversed by the First District Court of Appeal on October 23, 2013. The Plaintiffs in that matter filed a Motion for Rehearing, asking the court to reconsider argument and to, in essence, change their opinion. On Monday the Court, in a very brief, one sentence order, DENIED the request for rehearing. Yesterday Florida’s First District Court of Appeal released its opinion in McCarty v. Myers, No. 1D13-1355 (Fla. 1st DCA Oct. 23, 2013) on the constitutionality of the new PIP statute brought by health care providers and a fictitious “Jane Doe” Plaintiff. The Court held that the plaintiffs did not have proper “standing” to proceed. In other words, the court found that the “Jane Doe” plaintiff was not a proper party in interest with a case in controversy to proceed with the lawsuit. The court reversed the temporary injunction of the new PIP statute which enjoined the Office of Insurance Regulation from imposing prohibitions on massage and acupuncture services and the $2,500 limitation for those patients deemed to have a non Emergency Medical Condition. The Court reinstated the automatic stay of the injunction. What does this mean to your practice of automobile accident victims with PIP coverage? This morning a First District Court of Appeal three judge appellate panel heard oral arguments in the appeal by the Office of Insurance Regulation (OIR) of Judge Lewis’ order of temporary injunction issued on March 18, 2013 in Myers v. McCarty (as the Insurance Commissioner head of the OIR). The order of temporary injunction suspends enforcement of EMC requirement and the ban on billing for massage and acupuncture services. Your FCA Board of Directors recently decided to provide $5,000 in funding support for the legal expenses associated with the ongoing lawsuit challenging portions of Florida’s new PIP/No-fault auto insurance law. This is in addition to the amicus (friend of the court) brief the FCA previously prepared and filed in the First District Court of Appeal in Tallahassee. 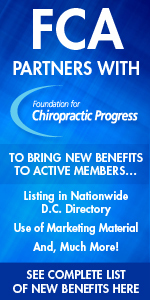 Did you treat auto patients with Auto Club since January 1, 2008? If so, please read about this class action settlement. A brief overview of the recent settlement in downloadable form is posted below. * What is the recovery? On August 9, 2013 the Florida Second District Court of Appeals affirmed the January 10, 2013 order of a Hillsborough Circuit Court restraining enforcement of the “Hillsborough PIP Ordinance.” This means that restraint of enforcement of the PIP Ordinance continues. Leon County Circuit Judge Terry Lewis granted the Plaintiffs’ Motion for Temporary Injunction in March 2013, finding that the Emergency Medical Condition limitation and the denial of LMT and acupuncture services in the new PIP law, violated Floridian’s access rights to the courts, in violation of the Florida Constitution. Since that time, some auto carriers have been abiding by this injunction, while many others have not and have been denying bills after $2,500. Following the June 27, 2013, favorable decision in Nunez v. Geico General Ins. Co. on pre-1/1/2008 policies not being able to require Examinations Under Oath as a condition precedent to PIP reimbursements (see FCA Bulletin of July 2, 2013), just one week later, the same 5-2 panel of Justices ruled again against Geico on the issue of whether or not auto insurers were required to incorporate the Medicare Fee Schedule into its policy of insurance if it wanted to take advantage of using it to pay providers. Last week, a divided Florida Supreme Court in Merly Nunez v. Geico General Ins. Co., ruled that under the prior, pre-1/1/2012 PIP law, Geico could not require its insured to give a statement under oath (“EUO”) as a requirement before paying PIP benefits after an auto accident. The 5-2 ruling found (below) that Florida’s PIP laws requiring “swift and virtually automatic” recovery of benefits did not allow the insurer to place such a requirement on the insured. The Court reasoned that since PIP is a mandatory insurance, and since the EUO requirement was not in the pre-2012 PIP law, that Geico could not make its requirements more strict under the terms of its policy of insurance. Does this mean that all EUOs from this point forward can be refused and the insurer must still issue benefits?